Valid on 5 flight ticket bookings. 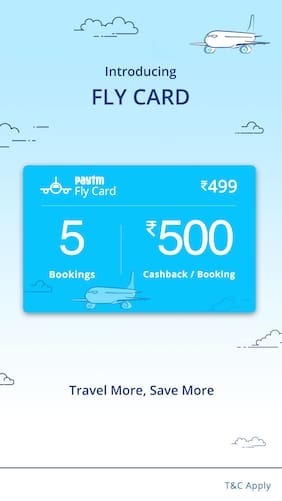 Valid on Paytm Website (Paytm.com/flights),Android & IOS Apps. 1. In this deal, you will get Flat Rs.2500 Cashback on 5 flight ticket bookings. 2. Valid Online at Paytm Website (Paytm.com/flights), Android & IOS Apps. 3. Valid till 31st December, 2018. 4. Valid only for users who have purchased a Fly Card on Paytm. 5. The Fly Card must be valid at the time of flight ticket booking. 6. To be eligible for Cashback, the minimum order value for flight ticket booking is Rs. 1,000. 7. Cashback will be credited to your Paytm Wallet within 72 hours of completing the trip. 9. Cancelled order will not be eligible for Cashback, however, will be counted as one-time usage. 11. According to RBI’s new guideline, users who have not undergone Paytm KYC will not receive cashback in their wallet. flat 666 cashback coupon already there. why to buy this. 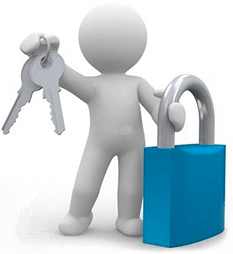 So effectively you get cashback 2500 if you spend 5500 (499+5*1000) on flight ticket bookings…. which flight rates are 1000???? Delhi to chandigarh Spicejet is 1099+ Convenience Fee. u forgot conv. fees . Can we book flight tickets without conv fees? How? so 5 times same flight!!!! HDFC smartbuy is better option for flight bookings of lower value. You get 200 discount + no conv. fee(approx 270 worth value) + 10X reward points on the HDFC credit card used for that booking. For above 5000 rs flights, better option is to book using Citi card on Goibibo on Monday or MMT on Tuesday to get 1200 Cashback on min 5000 booking. Awesome info bro …. i use HDFC Smartbuy + HDFC Regalia … every single time … even for airasia. But never have calculated the actual value of the point offlate. For example say i book a flight tickets of 10,000. But thay have stopped recharge redemption ….